For more than 60 years, the Atelier Magnani is synonymous with quality, elegance and convenience applied to the creation of wedding dresses. Atelier Magnani was founded by Antonio Magnani, an enthusiastic interpreter and continuator of a long family tradition dedicated to the high tailoring of wedding dresses and is currently the largest wedding dress manufacturer in Tuscany. The Magnani's brand, widely distributed throughout Italy thanks to a widespread network of showrooms and outlets, contains values on which the Magnani collections have always been based: passion, craftsmanship, technology, made in Italy. The Atelier Magnani Bridal Dresses is the solution to make the most beautiful day of your life unforgettable: the day of your wedding!The structure is made up of expert tailors and modelers; A blend of skills and ideas, where wedding dress fashion is constantly reinvented and adapted to contemporary tastes. The Magnani's brand is born from a family tradition dedicated to the high tailoring of wedding dresses that has lasted for more than 60 years. Located in the green Tuscan hills, in one of the most characteristic villages in Italy, the Magnani's tailoring has extensive experience in wedding dresses. At the atelier and numerous Magnani outlets, located throughout Italy, you can discover unique collections of wedding dresses strictly MADE IN ITALY. 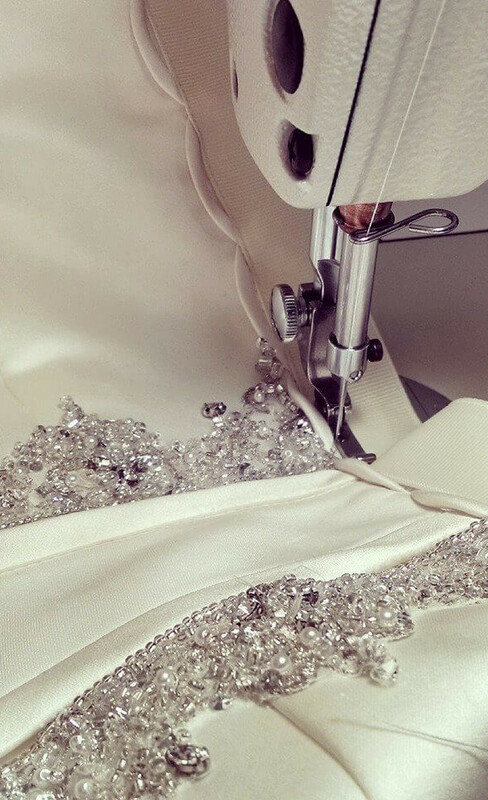 Magnani's Atelier boasts an assortment of over 1,500 wedding dresses. The company's distinctive sign and the brand's strength is modeling: every year, a team formed by industry professionals, expertly guided by the designer Franca Semplici, produces more than 300 different models of wedding dresses, ceremonial dresses And coordinated accessories.The company's distinctive sign and the brand's strength is modeling: every year, a team formed by industry professionals, expertly guided by the designer Franca Semplici, produces more than 300 different models of wedding dresses, ceremonial dresses And coordinated accessories. A completely artisanal and meticulous work that combines the tailor-made tradition with cutting-edge techniques, a personalized work system that from years allows us to distinguish ourselves in the bridal sector. 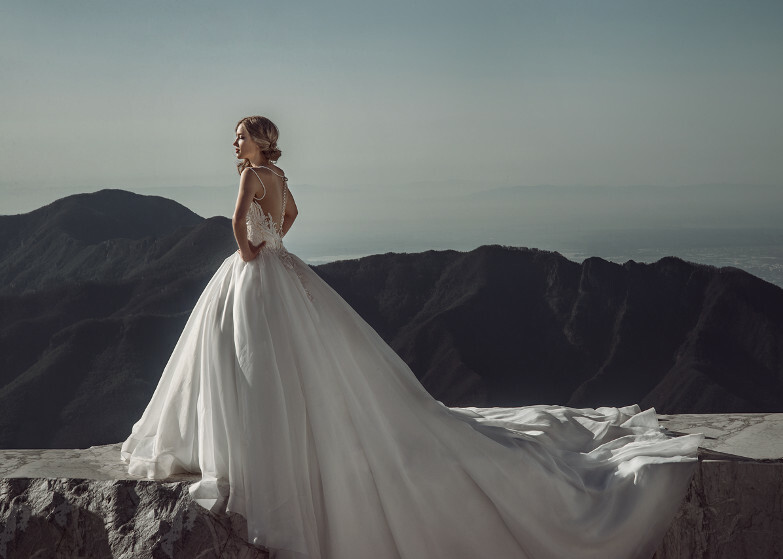 An organization that develops on an area of 2,000 square feet, generating unbroken flow of high fashion wedding dresses, which are distributed in the Ateliers of all over Italy and in the world, contributing to the diffusion and affirmation of the True "Made in Italy".